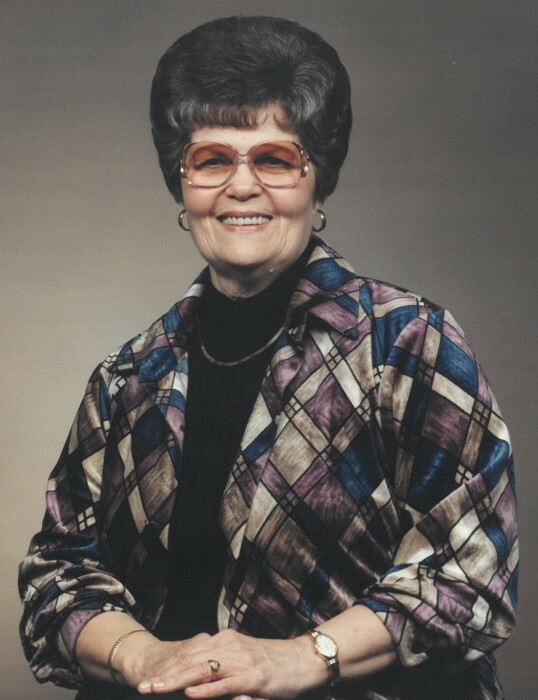 Wilma Jean Goodman, age 88, of Troy, OH passed away Friday, August 10, 2018 at the Hospice of Miami County Inpatient Unit. She was born on July 28, 1930 in Millfield, OH to the late Leonard and Mabel (Robinette) Ball. She was married to John H. Goodman and he preceded her in death on October 28, 2007. Wilma is survived by her sons and daughters-in-law: John Terry and Jean Goodman of Jackson, OH and Larry Eugene and Kathy Goodman of Troy, OH; daughter: Lorilee Goodman of Troy; six grandchildren: Ryan (Sarah), Randy (Lauren), Tara (Stephen), Shane (DeAnna), Carmen (Robert)and Keith (Karen); 14 great grandchildren; sisters: Donna Misner of The Plains, OH; Shirley Locke of Lancaster, OH; brother: Leonard “Buddy” Ball of Nelsonville, OH; sister-in-law: Faye Ball of Cleveland. In addition to her parents and her husband, she was preceded in death by: sister and brother-in-law: Wanda and Everett Lasure; brother: James Ball; brother-in-law: Paul Locke; and a great grandson. Services will be held at 1PM on Monday, August 13, 2018 at the Baird Funeral Home, Troy, OH with Chaplain Mollie Magee officiating. Interment will follow in Riverside Cemetery, Troy, OH. The family will receive friends from 11-1 PM on Monday, August 13 at the funeral home. Memorial contributions may be made to Hospice of Miami County, P. O. Box 502, Troy, OH 45373. Condolences may be expressed to the family at www.bairdfuneralhome.com.